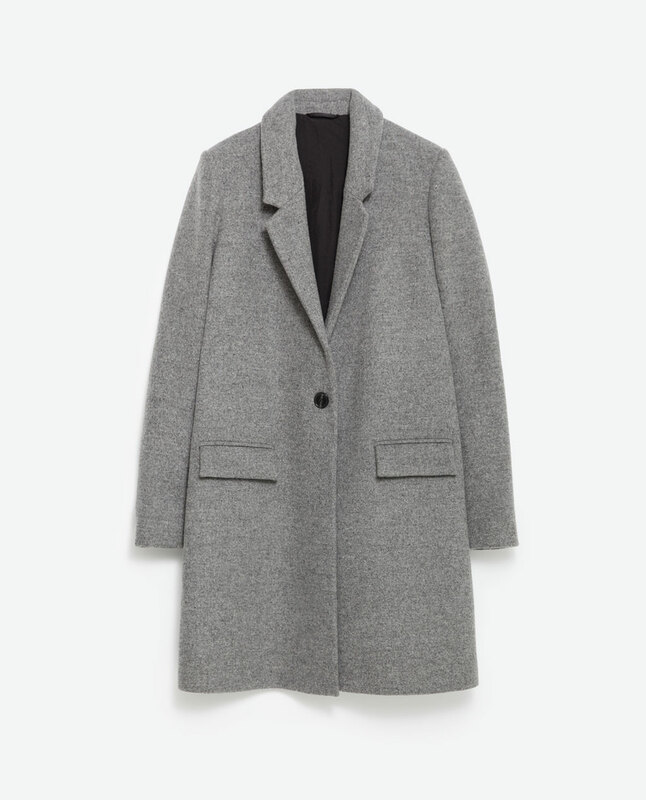 Style Theory: One of the most important purchases of the season..the smart winter coat. It can instantly turn a casual outfit into a sophisticated look, get the colour, the fabric and the fit right and the winter coat will your wardrobe saviour. In this blog post I will be talking about the 'smart' winter coat, I will look at Parkas, Puffers etc in a separate post. I am a huge fan of a dressy coat, for the last five years I have bought a bright coloured coat and I have worn them non-stop. They give me a signature look each season and it is amazing how good clashing colours look with them. 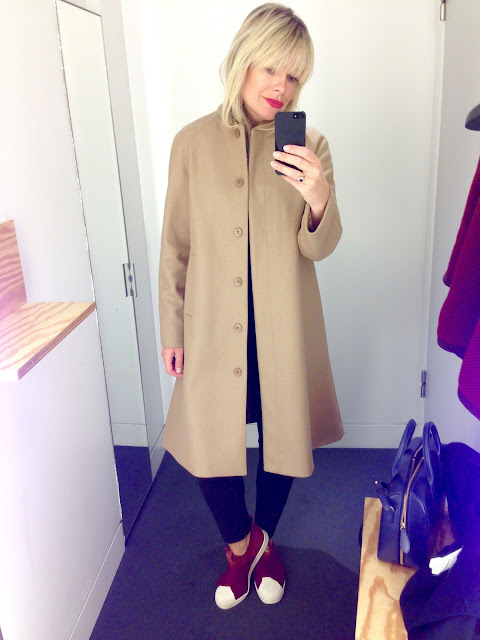 This year I am on the hunt for a classic camel coat but throughout my search I have found lots of stunning coats on the high street..
A little expensive but this coat looks amazing on, the collar looks great turned up and the colour is the perfect shade of a true red. This would look stunning clashed with a pink sweater and black skinny jeans and knee high black boots. Or wear over an all black outfit for a chic look. I also love a red coat with pale distressed blue jeans, a chunky black poloneck and trainers. This one is great for smaller ladies (like me) and is definitely on my list, in Elys in Wimbledon they were running a promotion with £100 off all Jaegar coats, not too sure if this is still going but well worth looking out for these promotions, it makes the price more palatable! 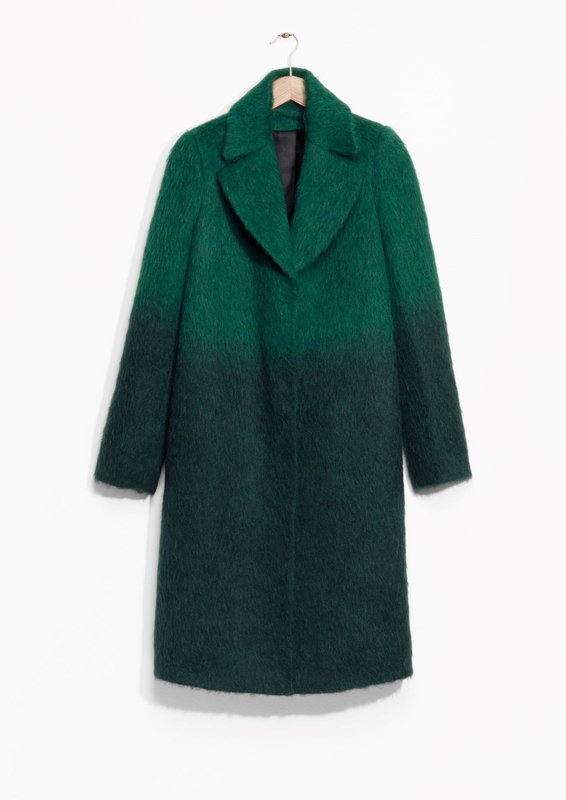 A beautiful fuzzy wool mix coat with gradient dye. 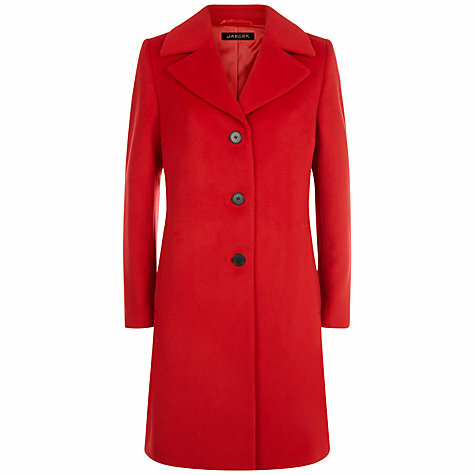 This coat is a generous fit, wear with navys, pale denim blues, pale pinks, burgundys and add a red or orange bag for a striking pop of colour. A wool mix coat with gorgeous quilted detail. This is a modern take on a classic shape and will look stunning with camels, pinks greys, black and navy. 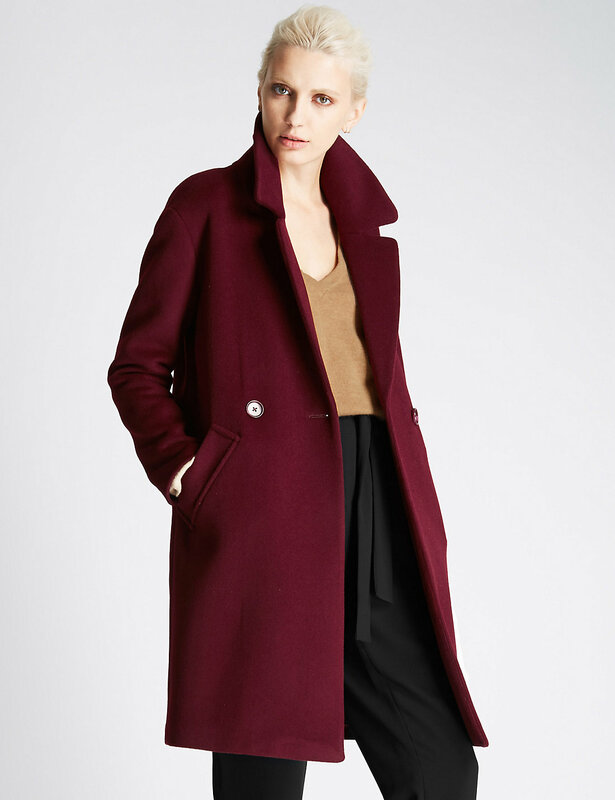 This coat is such a beautiful, rich colour, one to try on as M&S coats normally come up a little big. I love the length and the collar, chic and sophisticated in this season's key colour. 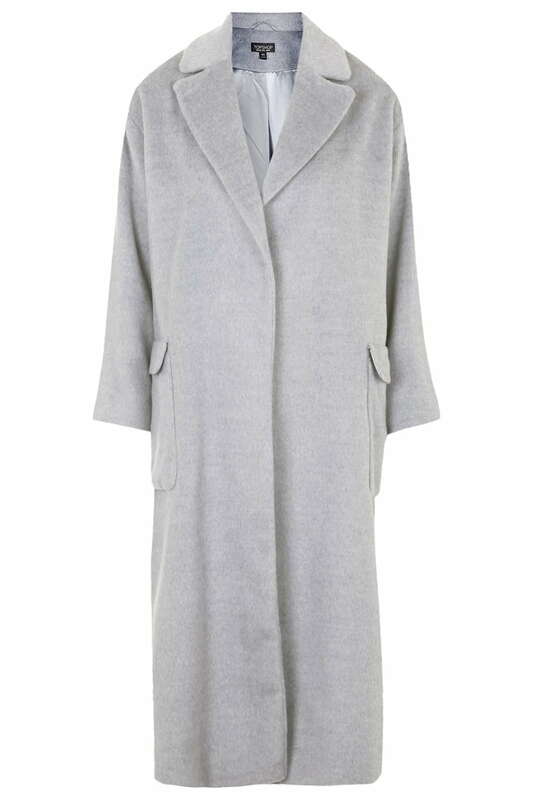 The more I have researched this blog post the more I am loving the grey maxi coat, I have tried lots of these but due to the fact I am 5ft 3 these are not an easy style for me to wear, for the taller ladies however this is THE coat to buy. It looks cool, nonchalant and so stylish. This may not be the warmest coat buy I always wear a uniqlo thin body warmer underneath mine and add an oversize pale grey scarf for a beautiful, tonal look. This coat looks less 'dressing gown-y' in the flesh. It is this season's maxi length and would look perfect dressed down with skinny ankle length jeans and trainers. Add an oversized mustard scarf and you will look super chic. This coat is better if you are small, the perfect length, not too boxy and such a good price for a wool mix. Again I would add a pale mustard oversize scarf to add a touch of colour. This is from a previous blog post but I really like this classic shape. 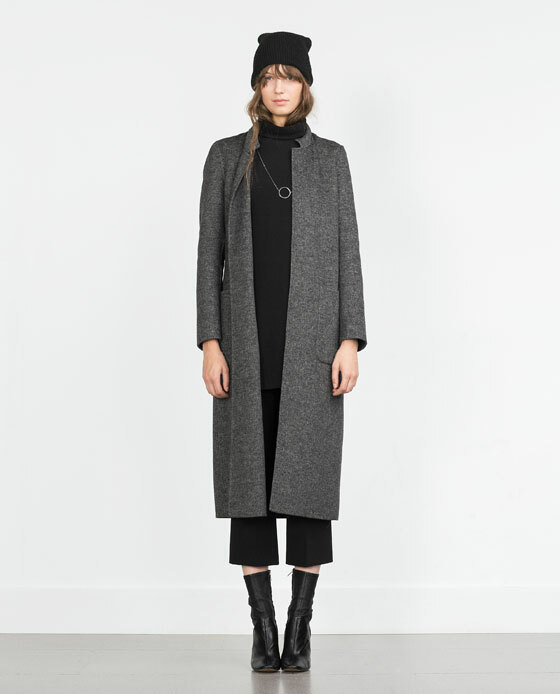 This coat is 60% wool and is beautifully tailored. This is the coat I think I am going to buy for this winter, it actually looks great on, it hangs beautifully in a swing shape and is flattering with a split at the back. It does not have a collar but will look fabulous with so many different colours of oversized scarves, deep reds, pink, navy, grey and black. This will look as good with my stan smith trainers as with a dress and heels. I tried it on in Cos..not great photos but I do really like the coat. I sized down on this coat, this is a size 8. The wool is quite flat/ felt -like which I wasn't sure of at first but actually I think it looks lovely, quite expensive. 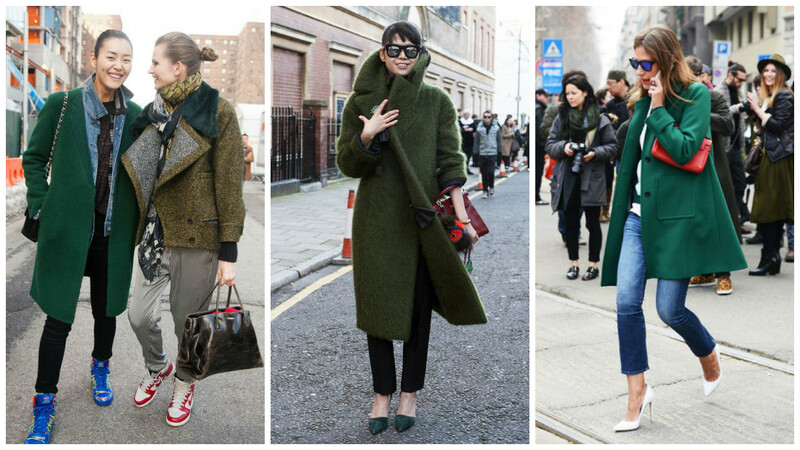 Have you invested in your winter smart coat, what colour do you fancy this year? 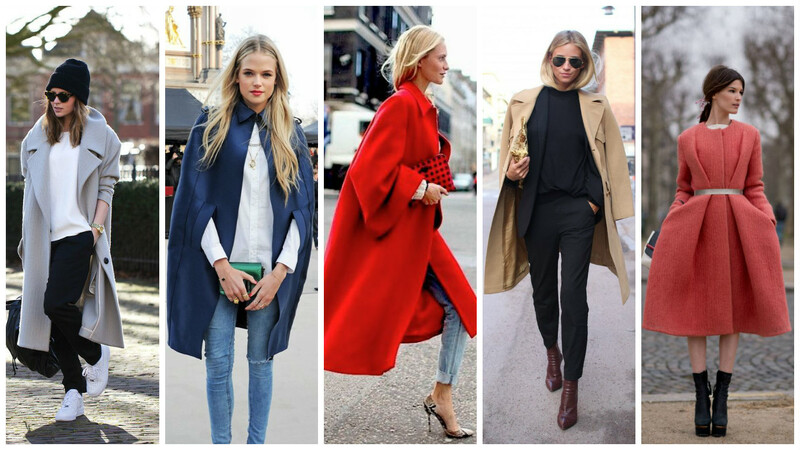 Or have you got a coat you use every year that is a classic and looks great year after year? 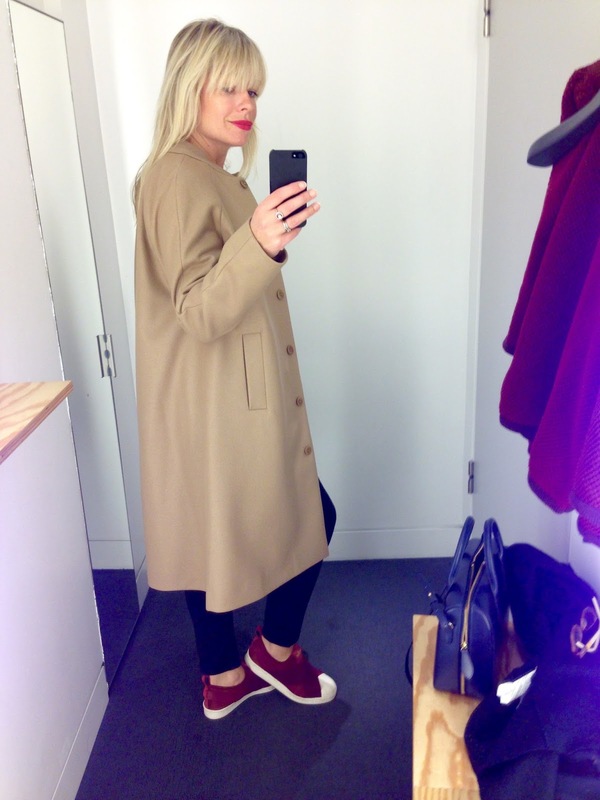 I went for the Boden Sienna coat in the camel shade. Have ordered an oversize teal scarf from H&M to go with it if it ever turns up! At 5 foot 3 I find winter coats can swamp me, or way too long in the arms! BUT I will be off to Zara next week to check out the grey one! Thank you. Oh I love coats and my wardrobe is groaning at the seams with them. I have a coat wardrobe which is two thirds mine and a third the Grumps. I could do with kicking his stuff out really but that might be a bit cheeky. And camel coats - they are so tricky. The one I got recently went to a friend who wanted it after I declared it the wrong size for me - I needed to downsize but there are none around in a size 8 so I'm back on the camel coat search too. Gah! I managed to nab two coats from the Jaeger outlet at Gunwharf Quays in Portsmouth last season - a red coat very similar to the one you've featured and the camel wrap one they brought out last year. Both massively reduced ... I ended up paying about 99 pounds for each I think. I have a grey coat hole though in my wardrobe! Love the ones you've featured. 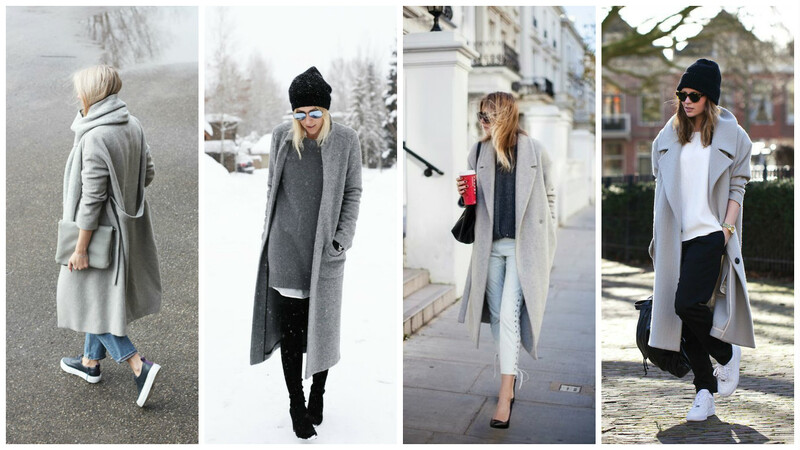 Lots of lovely coats and ways to style them. I do have quite a number of coats, but in winter you do end up in them all the time. I have a lovely red Hobbs number from a few years ago, which I probably don't wear enough. Some good ideas of how to dress it down here. 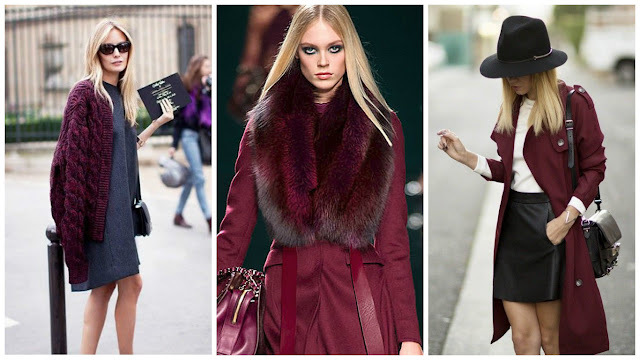 I already have a green, wool jacket, so I probably won't indulge in a full length coat... but the burgundy with the furry collar (is it too close to red?) and the grey, so versatile and so lovely!